1. Larry Bird and What Might Have Been. 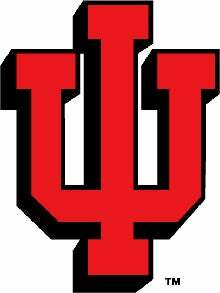 The 1976 Indiana Hoosiers—the last undefeated team in men's college basketball history—are generally considered to be the second-best team of all time behind 1968 UCLA. But remember that West Baden/French Lick native Larry Bird was successfully recruited by Bob Knight, had committed to Indiana, and in fact showed up for preseason practice in the autumn of 1974. After only a few weeks, Bird fled Bloomington for home, too intimidated by the "big city" to hang around for the start of the season. To quote the ghost of James Naismith, "The '76 Hoosiers were but one hilarious mustache away from being the greatest North American sports team ever. And I don't mean mine." 2. 550 Degrees Kelvin. Yes, first-year Indiana coach Kelvin Sampson famously made too many (oh, around 550) ill-timed phone calls to recruits while at Oklahoma. But as soon as you're finished feigning outrage ... let's move on to the Sampson family's role in the Battle of Hayes Pond. Sampson is a Lumbee Indian and his father, Ned Sampson, helped drive the Ku Klux Klan out of their North Carolina Lumbee community in 1958. Local Klan Wizard James "Catfish" Cole, who given his moniker had ironically targeted the Lumbee tribe as "mongrels," not only knew very little about the motion offense, but was also was a complete asshat. Showing a little more versatility and lot more dignity, Kelvin won the 2002 NAMA Jim Thorpe Award in addition to his 1992 Pac-10 and 1995 National and Big 12 Coach of the Year Awards.